There can never be enough of these attractive bar-restaurant hybrids, a haven for both the quick-drink crowd and those who want to make a hedonistic wine-and-food-filled night of it. The opening of the D’Vine Bar at the end of 2007 marked the conclusion of the final stage of Reval Hotel Latvia’s expansion. Since then it has drawn a loyal clientele with a penchant for wine. D’vine puts traditional pleasures into a futuristic setting, with sleek metal and lacquer beneath a glowing fuchsia ceiling. Glass surrounding you on all sides makes it a terrific people-watching spot, where you can see and be seen as you sip your wine, champagne or brandy. The light jazzy music mix won’t distract your attention from your conversation with friends. 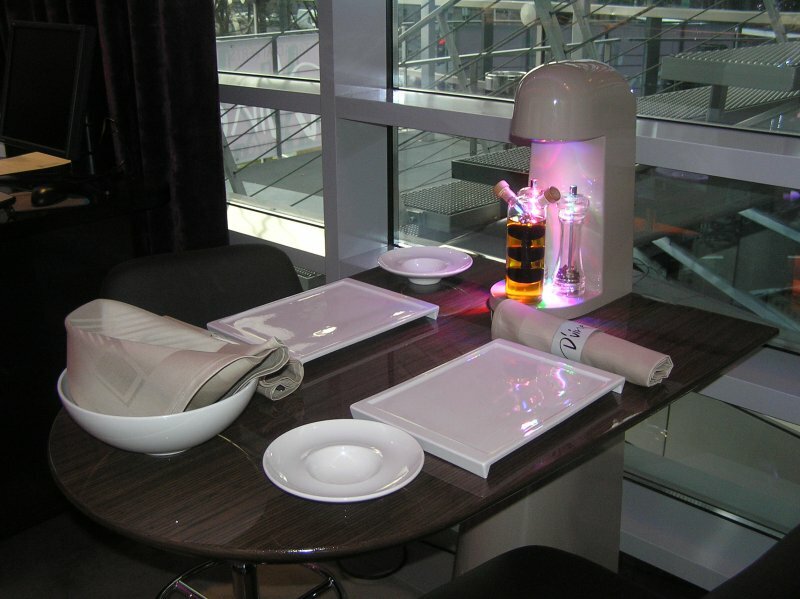 Put your glass under the futuristic ultraviolet lamp and judge the depth of colour and purity of your wine. It is interesting to note that this is a popular rendezvous place for ladies of all ages to meet with their girlfriends. You can order wine by the glass (€4- 6.80), by the carafe (€9-28) or by the bottle. And there is an impressive wine list containing more than 120 types of the “gods’ nectar,” both from the Old and New Worlds. Although food does not take the main stage in the bar, there is a good selection of light salads (€4-7) and finger-foods, such montaditos, pintxos, and fair options for main courses. If you are there around lunchtime ask what’s on the menu for business lunch, as they like to change offers frequently. 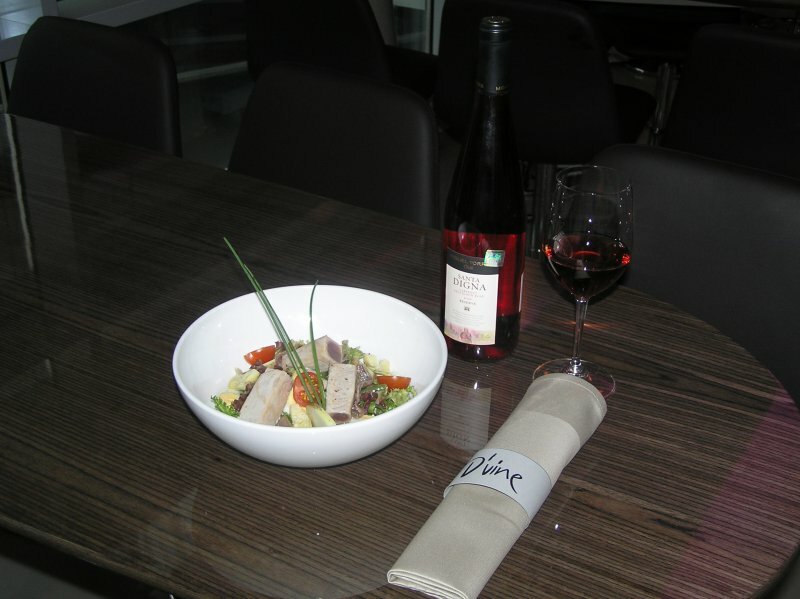 Naturally, the wait-staff are able to assist you in choosing the right wine with your menu selection. D’vine will also organise special events for 50-70 people in the cosy informal conference room connected to the bar. It is the place for people who enjoy good wine and good company.